This is 1 Channel 5V Relay Board Module For Arduino PIC AVR DSP ARM. A wide range of microcontrollers such as Arduino, AVR, PIC, ARM and so on can control it. Standard interface that can be compatible with microcontroller. 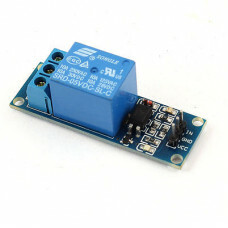 Can Be controlled various appliances & other Equipment With Large current.